UPPER EAST SIDE — The Second Avenue subway blast that sprayed debris high into the air above 72nd street was sparked by an underground explosion the force of which hit a steel plate covering the work site at street level, the MTA revealed Wednesday. It happened when the MTA blasted a section of rock 40 feet below the street to build an escalator shaft for the new subway line on Tuesday. The eruption shattered windows and sent Upper East Siders scurrying for cover as rocks pelted the street. "The force of yesterday's controlled blast was focused in one area that was not anticipated," said MTA spokesman Adam Lisberg. "The force of that blast hit the underside of an inch-thick steel plate that covered the site at street level. It was never designed to handle that much force. It was not anchored into anything, it was just sitting there. So it blew upward and allowed rock and debris to scatter." Lisberg vowed that no additional work would take place until the MTA got to the bottom of the incident. "We won't restart work until we know what happened, and we have a plan for making sure it won't happen again." MTA officials shared some details of their preliminary investigation into the blast at a press conference Wednesday. They said two factors could have contributed to the damaging impact of Tuesday's blast — the angle of the escalator shaft, and the 1,800-pound metal plates covering the blast site. Because the shaft was at a 30 degree diagonal, debris was strewn sideways, onto the street, said MTA Capital Construction Project Michael Horodniceanu. And that debris escaped the blast site because the protective metal plates covering it — called decking — weren't properly anchored. On Tuesday, the decking lifted and allowed rock fragments to spread into the street, said Horodniceanu. "Preliminarily we determined that the method used to keep the decking in place was inadequate, and we are in the process of addressing that," Horodniceanu said. The MTA will bring in two independent consultants — a blast expert and a safety expert — to help them investigate. The agency is considering a plan to keep pedestrians farther away from the site, Horodniceanu said. 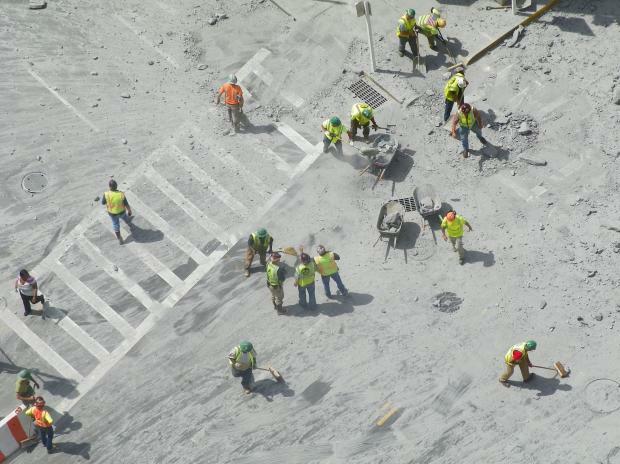 Though workers have conducted two other diagonal blasts at the site, and 72 blasts in total, Tuesday's blast didn't go as planned. "I think they did not expect the blast to go in that direction," Horodniceanu said. The blast shattered windows and cracked open the floor of the Kolb Art Gallery at 1357 Second Ave. — which remained shut down a day after the blast as city inspectors evaluated the damage. 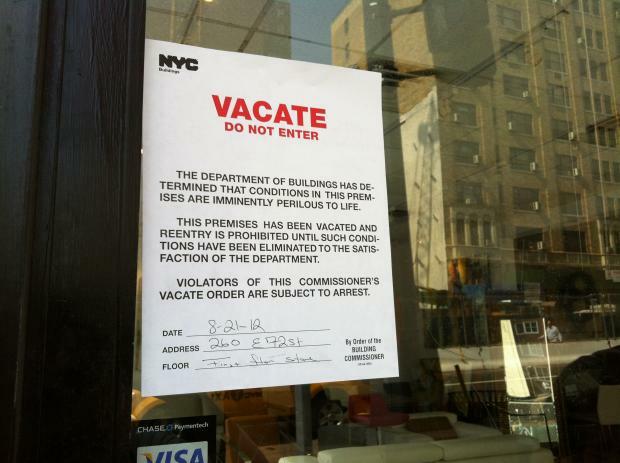 The Department of Buildings issued a vacate order for the ground-floor gallery until the owners repair it, a DOB spokeswoman said. "As a safety precaution, we vacated the art gallery because the store was damaged," spokeswoman Ryan Fitzgibbon said. "It was not structurally damaged." Buildings inspectors fanned out after the blast and checked all the surrounding buildings for structural failures, but all the buildings were found to be sound, Fitzgibbon said. 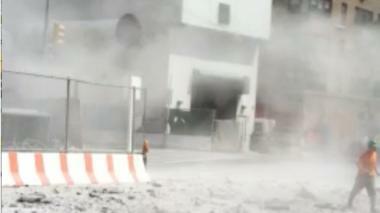 Upper East Side residents said Wednesday that they were still shaken by the previous day's blast. "I was surprised that no one was hurt," said Barbara Swiska, who lives at 73rd Street and Park Avenue and frequently walks along Second Avenue. "It's dangerous to have something like this happen." Construction on the Second Avenue subway remained shut down Wednesday morning, and a towering crane at the site was still. Sabrina Ramdyal, who works at Sharkey's Cuts For Kids on Second Avenue two doors down from Kolb Art Gallery, said she was worried the blast would be bad for business. "We would like for this to stop," she said of problems with the Second Avenue subway construction. "A lot of parents don't want to bring their kids because they don't know what's in the air. They don't know if it's safe."